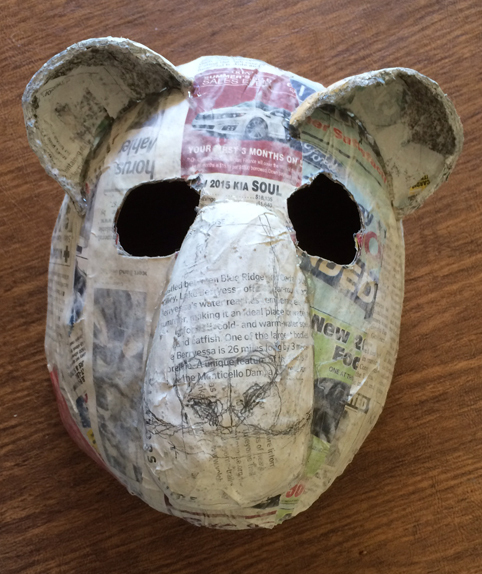 This project started out as a test to make a form fitting Paper Mache mask. I first molded a piece of aluminum foil to my face. I made sure it wrapped around the nose, the lips, and had proper indentations for the eyes, and over the top of the head. 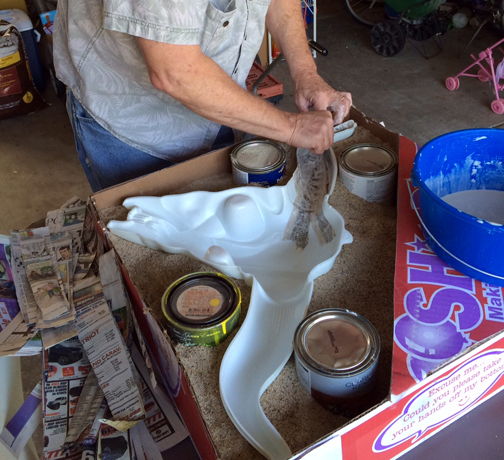 The local Junior High school needed a Texas Longhorn skull, or facsimile. “For what?” I asked. It is part of the Grad Night Party theme. And the real ones are very expensive. I thought about Monsters and decided paper mache was the answer. They had an old plastic skull shell which was broken in a couple of places. I buils a small sand box to support the plastic shell. I put in some cans of paint so it took less sand. This is just too awesome. This post is about a technique for paper and cloth mache for making amazing creatures. The book (on the desk) by Dan Reeder of GourmetPaperMache.com is an excellent guide, and worth getting a copy or gifting one. This is the beginning of a photo essay where my daughter Lindsay and I make our own monsters. 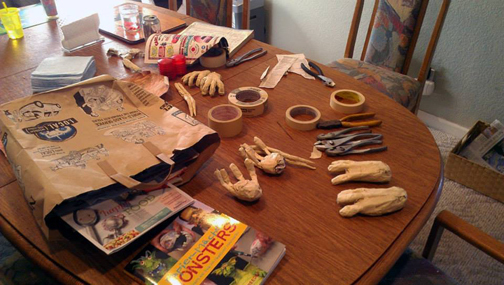 We start by making the hands and feet out of paper, tape, and some old coat hangers.